Polish Mini Lotto 5/42 might not be a household name like many other European games—including Poland’s flagship lottery, Polish Lotto—but that doesn’t mean it’s not worth paying attention to. 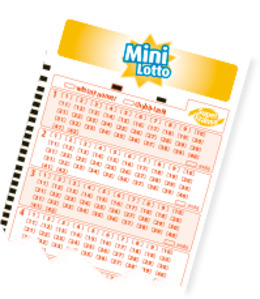 Although this little “mini” lottery stands in a junior category that very few other international lotto games belong to, it offers players the chance to play and win prizes every single day of the week. In addition, its tickets are among the cheapest of any lottery we’ve ever come across and the prize amounts can still reach into the tens of thousands of euros—a windfall that would make just about anyone smile from ear to ear. As a result, we consider it to be one of our favourite lottery games. Because this wonderful Polish lottery only started getting attention from foreign players in the past few years, many people think that Polish Mini Lotto is a relatively new game on the international lottery scene. But that actually couldn’t be further from the truth. In fact, this fun little game has been around since March 1976, when it was known as Express Lotek. Operated by Totalizator Sportowy, the same company behind Polish Lotto, Express Lotek was originally played on a monthly basis, with draws taking place on a single Wednesday each month. By August of 1976, the frequency increased to every Wednesday, and this stayed the same for 19 years—until January 1995, when weekly Saturday draws were introduced. From 1998 the game took a two-year hiatus but fortunately returned with the same name and format in August 2000. 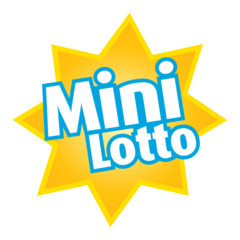 In October 2008, the draw dates changed to Tuesdays, Thursdays, and Saturdays, and a year later the name was changed to Mini Lotto. In April 2014 the number of weekly draws increased to six—from Mondays to Saturdays. Finally, in December 2015 the draws started taking place every single day of the week, and this is how often the game is still played today. Playing the Polish Mini Lotto couldn’t be any easier: you pick 5 numbers from a range of 1 to 42, and if your choices match the ones that are drawn, you win the jackpot prize. The game has only three prize tiers, with the top one often being a pretty exciting amount. Its biggest jackpot ever reached 366,518 złoty (€85,352)! Of course, that doesn’t mean that scoring any of the others, especially the second-tier prize, wouldn’t be nice—especially when you factor in that an official single line (when purchased within Poland) only costs 1.25 złoty (about €0.29 or US $0.33). This quite possibly makes it the cheapest lottery in the world. Also, there is never any cap on jackpots, as each day’s jackpot amounts are based on the total number of tickets that were sold. That is why they can grow to such impressive levels for a lottery that gives such good chances of winning. Since this is a daily lottery, rollovers don’t exist. In the event that there is no jackpot winner, the grand prize amount rolls down to and gets split among the next two prize tiers. 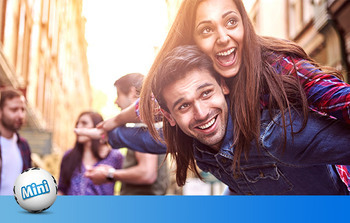 Polish Mini Lotto’s odds are hands down the best we have ever come across in the entire international lottery industry: players have a 1 in 850,668 chance of winning the jackpot with each entry ticket that they purchase. But since tickets are so cheap, it makes most sense to buy a handful of them, which would make your likelihood of winning even better. Let’s compare these odds to other popular national lotteries: even your chances of winning Mini Lotto’s big brother, Polish Lotto, are 1 in 13,983,816, while the odds of winning UK Lotto are 1 in 45,057,474, Austria Lotto 1 in 8,415,060, EuroMillions 1 in 139,838,160, and EuroJackpot 1 in 95,344,200. Sure, all of these other games feature jackpots that are many times the size of Polish Mini Lotto’s, but does that really matter if they’re so hard to win in the first place? The Polish Mini Lotto draws take place every single day of the week (that’s from Monday to Sunday, in case you’re wondering) in the nation’s capital of Warsaw at 9:40 pm CET. The only payout option in Polish Mini Lotto, no matter what size of prize you win, is to receive your winnings in a single lump sum. Poland charges a 10% tax on any lottery winnings above 2,280 złoty. Foreign players playing this game online should check their own country’s tax laws, as some countries tax lotto winnings and some do not. If your country does tax lotto prizes, you might have to pay taxes twice. If reading about the Polish Mini Lotto has got you excited and you’re thinking, “too bad I won’t be able to ever play it because I’m nowhere near Poland,” you can turn that frown upside down. There are actually several great online lottery sites (see the bottom of this article for details) that’ll let you get in on the fun. Although playing online will cost a little bit extra as a result of the excellent service and convenience that these types of websites provide, the small price of admission is well worth it considering what you’re getting in return. Polish Mini Lotto – Is It Worth Playing? While the Polish Mini Lotto might not be the first lottery that people think of when discussing the world’s best lottery games, there are actually many reasons to consider it. With the cheapest lottery tickets and best odds in the business, daily draws, great cap-free jackpots, and tax-free winnings, Polish Mini Lotto is a game that’s worth playing regularly, as it could give you a financial boost that would instantly make your life easier and more exciting. Thank you for this review!!! I'm absolutely loving Mini Lotto!! I used to chase only the lotteries with the biggest jackpots but barely ever won anything worth mentioning. Now I play strategically on lottos with smaller prizes but better odds, and there's no going back.